Tattoos have become so popular that a recent global survey found that 38% of the respondents have at least one tattoo and in the USA, about half of the people with tattoos have four or more. 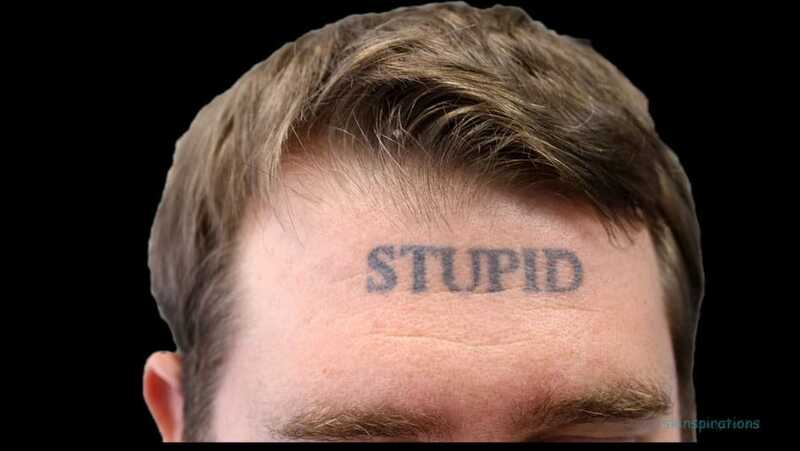 Eventually many people decide they no longer want a tattoo or want to fade one so they can replace it with another. 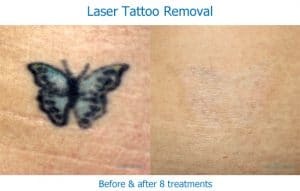 With recent advances in lasers, specifically the development of Q-switched lasers, tattoo removal has become the most effective, and safest method to erase or fade these unwanted tattoos. Skinspirations uses the Cynosure RevLite SI Q-switched laser, which can remove tattoos with multiple colors. The laser targets tattoo ink under the surface of the skin with short bursts of power, causing the ink to fragment into particles. These particles are then carried away by the body's immune system during the weeks following each treatment. Each treatment breaks up more pigment particles producing progressive fading of the tattoo. Most darker pigment colors can be removed but lighter tattoo pigment colors like white, yellow, light blue and light green can be resistant and may not fade. The RevLite SI laser has more power than previous tattoo-removing lasers to treat stubborn multi-colored tattoos & pigmented lesions. It's PhotoAcoustic Technology Pulse® (PTP) uses an extremely short pulse of energy over larger areas to provide a faster, yet safer treatment. Many of our tattoo patients want to replace an old tattoo with a new one, and usually, after just 1-3 treatments to fade the original, tattoo artists can often create the new one with no visible evidence that another tattoo had been in the same place. You may have heard that tattoo reduction treatments are painful, but at Skinspirations, we make sure the treatments are as comfortable as possible. Anesthetic is applied before the treatment to make the session itself completely painless. 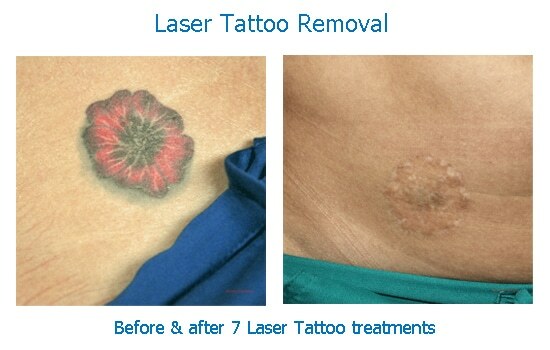 Immediately after a laser tattoo removal treatment, the tattoo will usually look red and puffy. In the first 72 hours, the treated area sometimes forms a crust, especially with the first treatments or when treating a tattoo that was done on top of a previously tattoo. The number of treatments required for maximum improvement is impossible to predict and depends on the types of pigments used by the artist, as well as the size, location, depth, age and colors of the tattoo. Most tattoos require 5 - 15 sessions to be erased, and colored pigment often requires more treatments than black. Treatments are done at least 8 weeks apart to allow the fragmented pigment particles to disperse. With densely pigmented tattoos, it may take several treatment to appreciate the fading. As noted above, some colors may not respond at all to laser tattoo treatments. If you are interested in fading or removing a tattoo, schedule your Free Consultation at Skinspirations or call 727-571-1923 for an appointment. 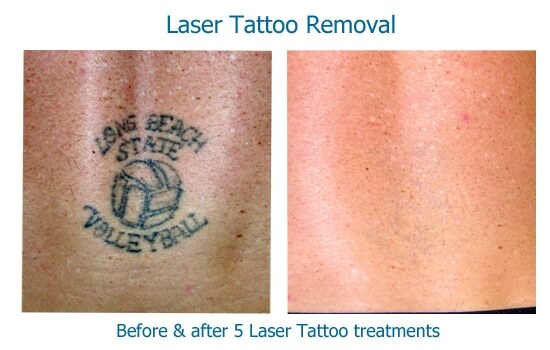 To see our laser tattoo removal in action click here.